Canadian insurance company Belairdirect launched its first major social media campaign on Wednesday with help from its agencies, Sid Lee and Montreal’s Youville Communauté Créative. The company has launched several social profiles, including Facebook, Twitter and YouTube pages, as well as a real-time helpline on Twitter. It will also launch a new website in spring as part of the campaign. 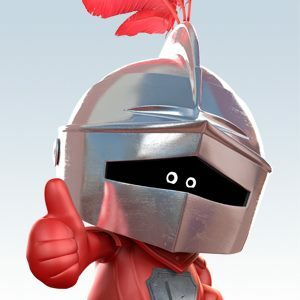 Belairdirect is tapping its mascot, “the Little Knight” who has long been part of its mass marketing efforts, to be its avatar online and the focus of its social presence. It even created a handle for the character – @bd_littleknight – who will interact with customers on Twitter. Belairdirect vice-president of web business Imen Zitouni said the company’s social media push is part of its effort to be more customer centric and offer more personal contact. The insurance brand kicked off the campaign earlier this year with a soft launch in its home province of Quebec with a series of YouTube videos it made in partnership with Radio-Canada. By posting the videos, made from archival footage of the popular French Canadian series Les Enfants de la télé that was then re-dubbed with funny voiceovers about insurance, the videos helped Belairdirect jump from 200 to over 2,000 Facebook fans in one month. Zitouni said Belairdirect is currently focusing on converting loyal customers and newsletter readers into fans on social media and will begin exploring paid social in fall. Here’s an example of one of the brand’s Radio-Canada/YouTube spots that has received over 43,000 views in just two weeks. Altogether, the videos from this initiative have been seen more than 225,000 times since Belairdirect started releasing them about a month ago. UPDATE: As you can see, the video below has been made private (as have all the ones posted on the company’s Facebook page). Likewise, they’ve been pulled from the YouTube channel. Copyright issues? We’ll see what’s up and update as we can.